Last night, the US military dropped what is said to be the ‘largest non-nuclear bomb’ in their arsenal. The attack occurred in an eastern area of Afghanistan said to be populated with militants affiliated with the Islamic State. A spokesperson for the Department of Defense recently confirmed to The Independent that a MC-130 aircraft launched an airstrike in Afghanistan using a ‘GBU-43’ bomb at 7pm local time. 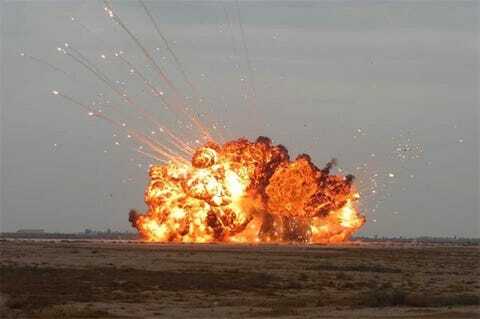 This weapon commonly goes by the acronym ‘MOAB’ or “mother of all bombs,” a nickname coined by the US Air Force. ‘MOAB’ also stands for Massive Ordinance Air Blast. US Army General John W Nicholson wrote in a statement that the strike was meant to minimise the risk to Afghan and US forces conducting clearing operations in the Achin area “while maximising the destruction” of ISIS militants and facilities. Nicholson claims that ISIS has been using improvised explosive devices, bunkers and tunnels to strengthen its defenses. White House press secretary Sean Spicer has stated that the US used a “large, powerful and accurately-delivered weapon” to disrupt militant movement in the region. Russia’s response to the so-called “Mother” of all bombs is what the Russian military is calling the “Father” of all bombs – and it’s about four times bigger than the MOAB. 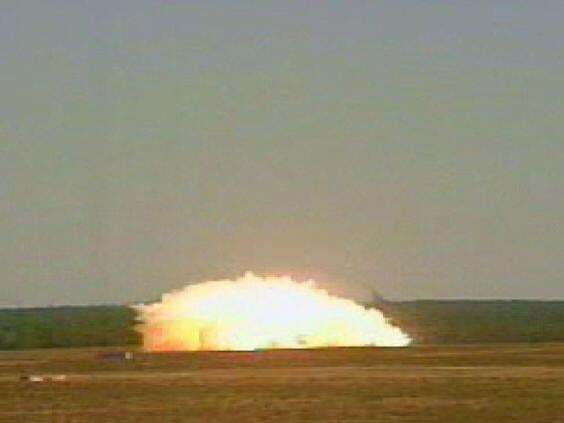 It’s known as the “Aviation Thermobaric Bomb of Increased Power” and it has a blast yield of nearly 44 tons of TNT destruction and a blast radius of nearly 1,000 feet. “Everybody knows exactly what happened and what I do is I authorise my military. We have the greatest military in the world and they’ve done their job as usual. So, we have given them total authorisation,” he said. Studies have shown that civilian casualties in Afghanistan hit record highs last year. It has been reported that US airstrikes in Afghanistan have killed at least 3,498 innocent civilians in Afghanistan, and wounded at least 7,920 civilians in 2016 alone. Details regarding civilian casualties resulting from the strike have yet to surface. If there are further revelations that come to light regarding this airstrike, updates will be posted accordingly.